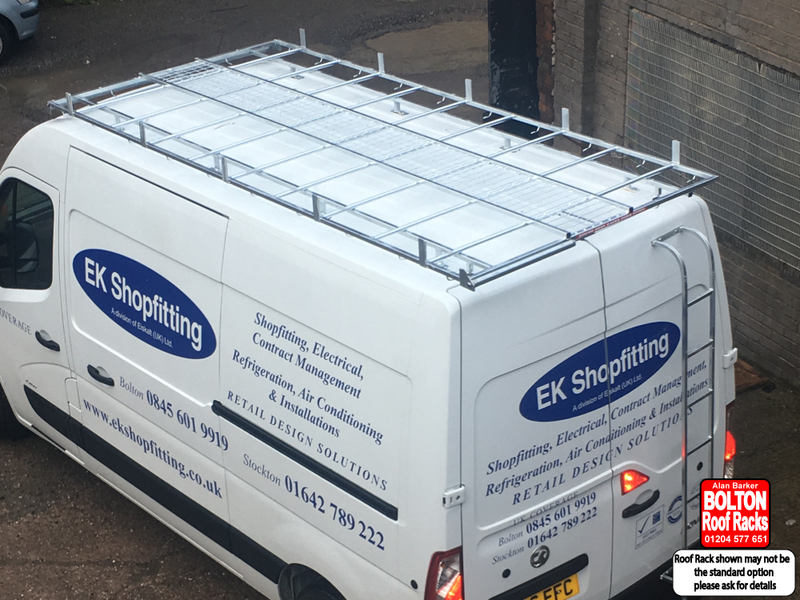 Vauxhall Movano L4H2 Roof Racks from Bolton Roof Racks Ltd. Roof Racks for Vauxhall Movano Models we hold in Stock. The Vauxhall Movano is a very popular vehicle. Movano Overview Big. Strong. And Versatile. That’s Movano. With an extensive range of models that give you more of what you need from a commercial vehicle. Class Leading Payload Class Leading Payload at 3.5T. With a choice of four vehicle weights. Movano boasts serious flexibility to match the van's capacity to your business needs. GVWs are at 2800, 3300, 3500 and 4500kg, with corresponding payloads ranging from 990kg to 2200kg. If you want serious load-lugging capability. Movano 4500 GVW models offer an impressive 7500kg gross combination weight, allowing you to pull trailers up to three tonnes.